Positive reputation equals revenue. Get a 15-20% lift in revenue by adding 5-star rating with your Google ads. Get a 5-9% increase in revenue with 1-star improvement in rating. Be found on Google organic search with positive reputation. AllReviewSites.com is integrated with 300+ of the platforms and applications you already use to manage your customer-facing business. Get new reviews and valuable feedback — easily and automatically. AllReviewSites.com searches your customer feedback to gleen insights into your products, services, marketing and operations. Identify your strongest advocates and toughest detractors, and capitalize on trends revealed through their feedback. Quickly compare review ratings across multiple locations, divisions, regions. Identify at-a-glance high performers vs. those earmarked for improvement. 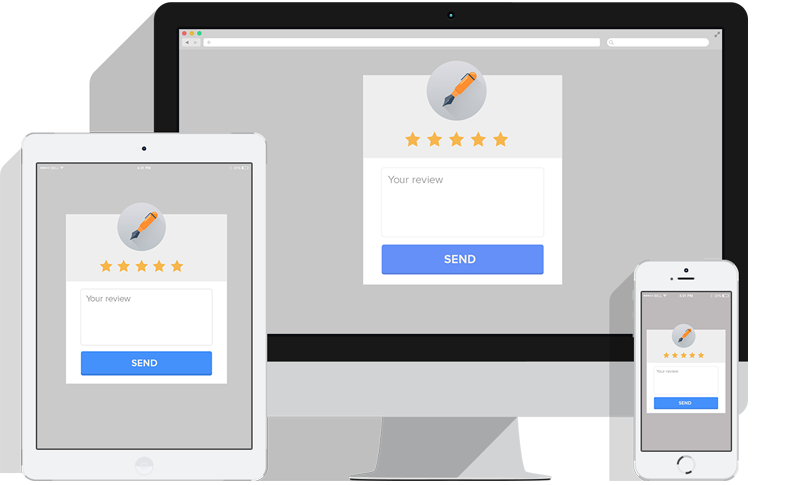 With AllReviewSites.com, your positive reviews are automatically showcased on your website, Facebook and Twitter, and indexed by search engines like Google, Bing and Yahoo for higher search result ranking. Your brand is your #1 asset. AllReviewSites.com proactively protects your brand — manages negative reviews and promotes positive reviews, everywhere. End result? Superior reputation. Higher revenue. AllReviewSites.com offers Enterprise APIs for everything! We are integrated with 300+ leading applications. So if you use Salesforce, Google, Paypal, MailChimp, ZenDesk or Zuora — we can automatically detect when you sign a new customer and proactively get their feedback on your behalf. We just made collecting customer feedback an integral part of your business process. Find out what customers are saying about your business. Whiteboard Marketing will be the merchant of record. Charges will appear as Whiteboard Marketing on customer bank statements. We offer a 60 day unconditional money back guarantee from date of initial registration.